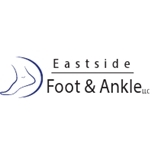 Eastside Foot and Ankle (Portland) - Book Appointment Online! After Dr. Bowen earned his medical degree from the College of Podiatric Medicine and Surgery at Des Moines University, he completed his residency in Podiatric Medicine and Surgery at Legacy Portland Hospitals and Kaiser Permanente.He worked in the portland area for 5 years before opening his own practice. Dr. Bowen is Board Certified in foot surgery and reconstructive rear foot and ankle surgery. He is a member of the American Podiatric Medical Association, and American College of Foot and Ankle Surgeons. It is Dr. Bowen's goal to provide the highest quality of foot and ankle care to patients of all ages. He focuses on conservative treatment whenever possible. When necessary, surgical treatment is performed in the office or hospital setting. Dr. Bowen was very informative, direct, friendly, professional, knowledgable, and upbeat even though I was having a gray day and receiving unfavorable news. His focus empowered me to maintain mine. If you are considering a visit, you will quickly see everything I wrote is true. Excellent Doctor.